Represents national cellular companies in the leasing of ground, tower, rooftop, and in-building space for communications facilities. Represents public utilities in the acquisition and disposition of real property, including land, easement rights, land use, and company assets. Represents lenders in real estate loans including construction and term financing. Negotiated and finalized multiple communications agreements in connection with the relocation and construction of a new Major League Baseball stadium. Counseled on state-wide project to assess a large number of parcels for apportionable easements allowing for construction and operation of a fiber optics network for both private and governmental entities. Represent franchisees of national fast-casual restaurants in the acquisition and leasing of sites throughout the United States. Gregory is an associate in the firm's Real Estate Practice Group where he partners with clients on a wide range of real estate and finance matters including telecommunications, leasing, zoning, lending and franchising. Gregory's extensive knowledge of real estate law and his ability to distill complex matters into actionable solutions help clients realize their goals. Gregory’s practice focuses on a range of real estate and finance matters. Gregory represents national cellular companies in the leasing of ground, tower, rooftop and in-building space for communications facilities. He also represents public utilities in the acquisition and disposition of real property rights and other real property issues. Gregory further represents both landlords and tenants in commercial leasing and ground lease transactions. Gregory also works with clients on governmental, regulatory and zoning mattes to ensure they achieve their goals and obtain maximum value while navigating and complying with various levels of federal, state, and local regulations. Gregory also advises franchisees of national fast casual restaurants on all corporate matters including acquisition and leasing of sites throughout the United States. 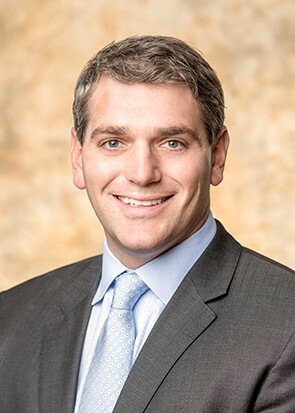 In his practice, he handles mergers and acquisitions, the preparation of trademark filings, as well as forming and qualifying corporations and LLC’s for multiple state filings.